After comparing toddler bike helmets in the key metrics of protection, safety features, fit and comfort, build quality, value, and reviews, our pick for the best toddler bike helmet is the Giro Me2. It offers excellent protection, it’s easy to adjust, and the designs are both stylish and cute. 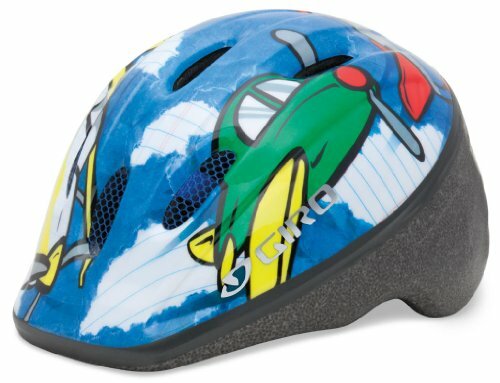 Schwinn’s Toddler Classic is a microshell bike helmet for toddlers. Microshell is lighter than hard shell. It is the preferred helmet material for cyclists. 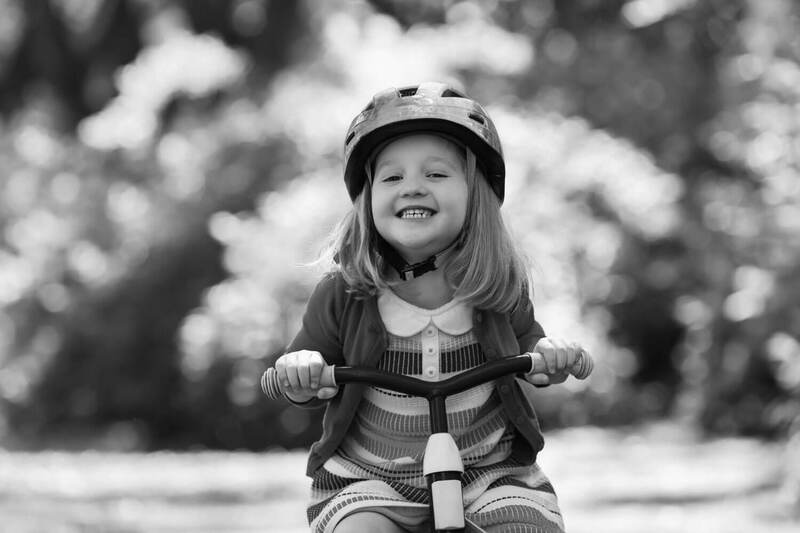 All of our recommended toddler bike helmets are of microshell construction. Schwinn is, of course, a major manufacturer of bicycles, so naturally, the company would know a thing or two about bike helmets. 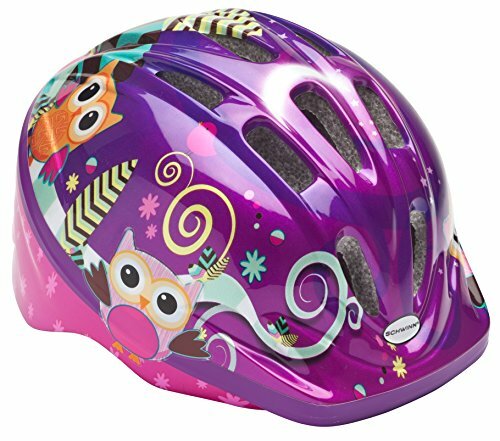 The Schwinn Toddler Classic bike helmet comes in 4 colorful finishes. While the finishes are attractive, they are a bit on the childish side. Therefore it is most suitable for younger toddlers. This helmet appears to be sized for younger toddlers too. It’s on the smaller side for a toddler bike helmet. It is however very easy to put on and adjust with a dial that can be tweaked on the fly. This is a very well ventilated bike helmet with 8 air vents. There’s a small built-in visor for sun protection without overly impairing vision. Like most toddler bike helmets, it is extended on the back and side for extra protection since toddlers are more fragile. 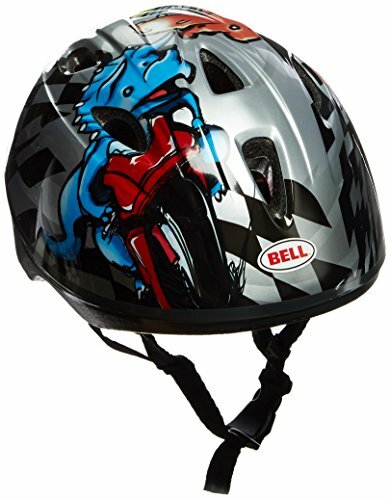 Bell’s Toddler Zoomer is designed for toddlers 3 to 5 years of age and the colorful finishes of the helmet reflect it. They are fun and attractive but not too childish. The 6 finishes have cool names like Blue Pony, Dino GP, Orange Tiger, Pink & Blue Downy, Purple Kink, and Red Jump House Flowers. The names of the finishes alone would delight a kid to no end, though probably not one younger than 3 years old. The size of this helmet really isn’t all that big to fit a 5-year-old. It might fit a 2-year-old boy for about two years. This is still a toddler bike helmet. There is no precise definition of toddler. 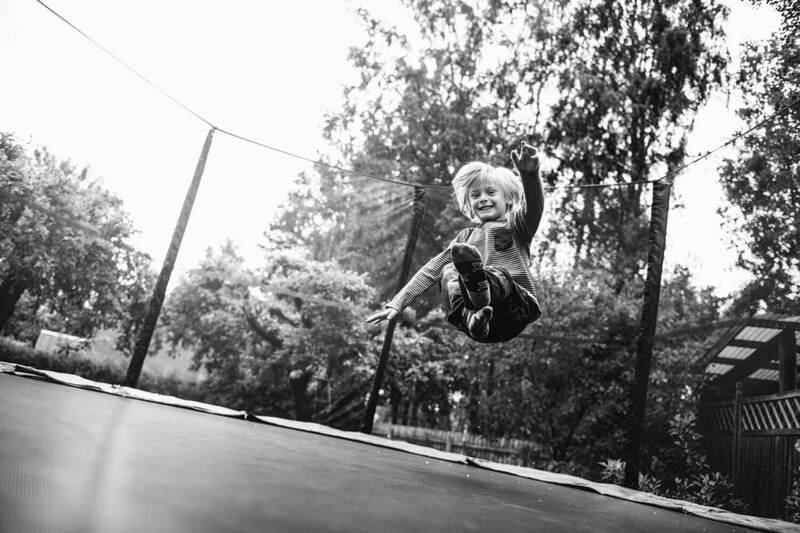 A toddler can be used to describe a toddling baby who has just started walking to a toddling 5-year-old who hasn’t yet learned to stride with confidence. This is a very nice toddler bike helmet. It has easy, excellent fit with dial adjustment – what Bell called Half Nelson fit system. It is adequately ventilated with 7 air vents. This helmet is safe with extended back and pinch guard on the buckle. The back is rather flat which makes it suitable for both riding a bike and riding in a trailer. There is no built-in visor so you might want to add a clip-on visor on sunny days. Giro makes a full range of toddler bike helmet from entry-level to high-end. We like the Giro Me2 for the best performance to price ratio of them all. As of this writing, it is available at just a shade under $30. The Giro Me2 is sleek and attractive. It offers great protection with its solid build and extended side and back. There are 6 air vents. Each of the 3 front vents has a bug net built-in to keep bugs out of your loved one’s hair on hot summer days, especially in the country. Giro’s Mini Loc Fit system is easy to adjust and fit. There’s a built-in visor for sun protection. The buckle is pinch-guarded so you can teach the kid to buckle and unbuckle. It comes in 5 interesting finishes, from plain and sleek to cute and busy. The user instruction that comes with the Giro Me2is just about the best that you’ll ever find in a bike helmet. Our pick for the best toddler bike helmet is the Giro Me2. It offers sophisticated fit and excellent protection at an unbeatable price. 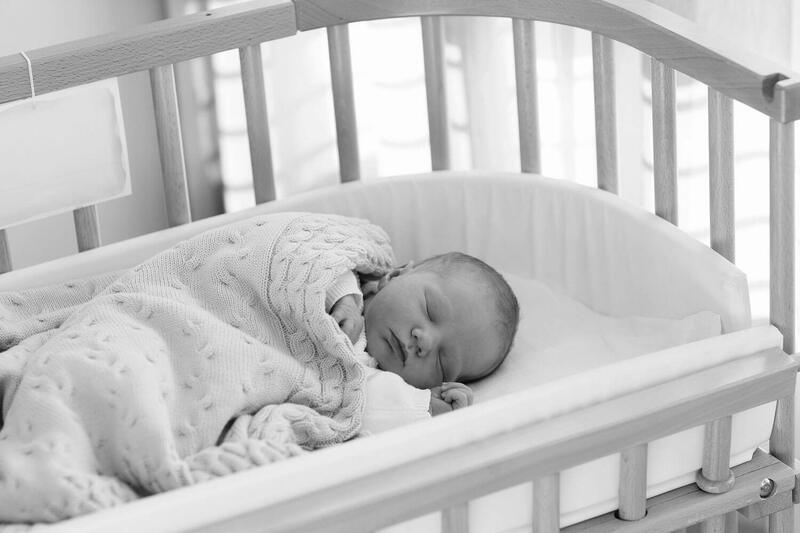 It is sized for a young toddler approximately 1.5 to 3 years of age. The retention system fits snugly. This helmet protects from without and within. 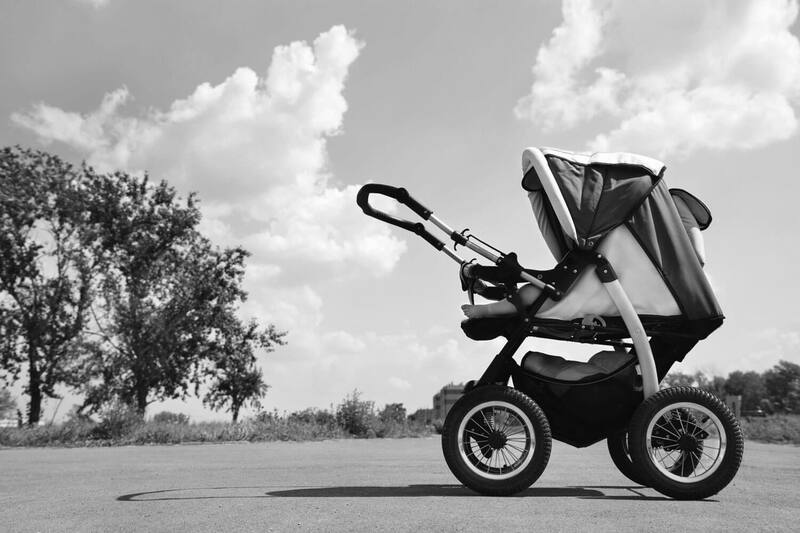 For those who require a larger fit, we recommend the Bell Toddler Zoomer. 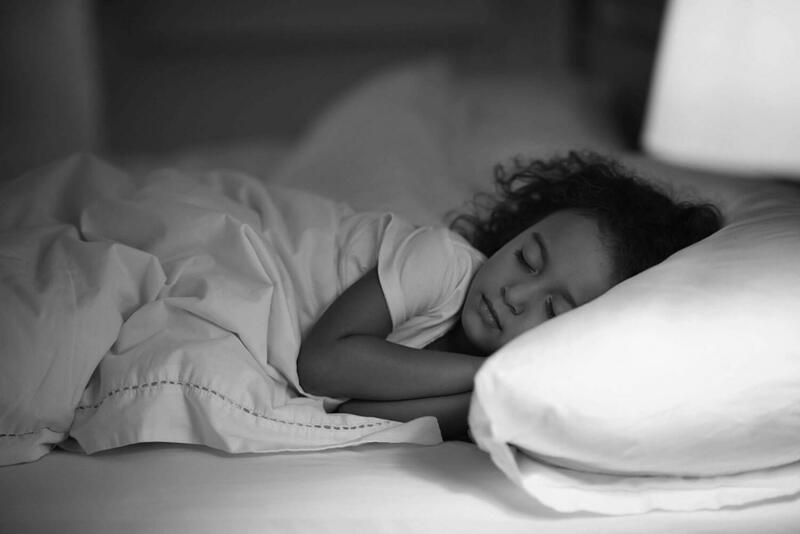 It is designed for toddlers 3 to 5 years of age. In our experience it’s closer to about 4 years old at the upper range and 2 years old at the lower range. This toddler bike helmet protects well and it’ll totally delight the wearer. 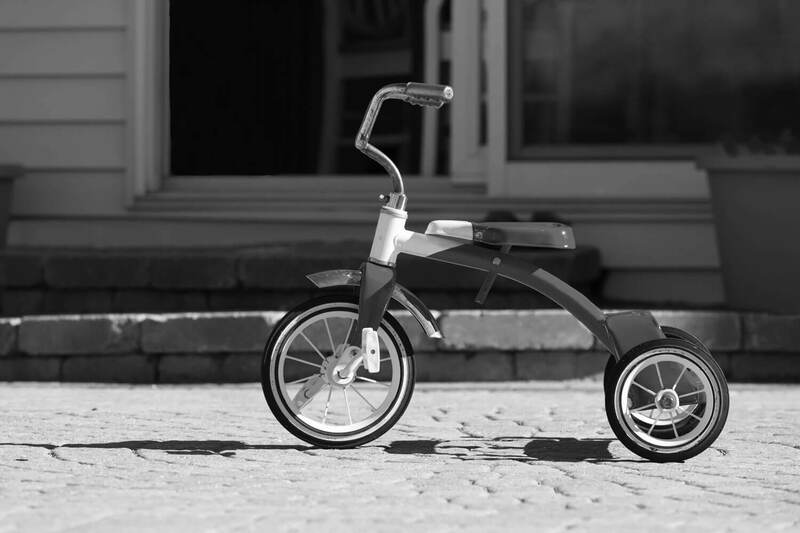 For the youngest toddlers, go with the Schwinn Toddler Classic. The babyish finishes will look super cute on the little ones.